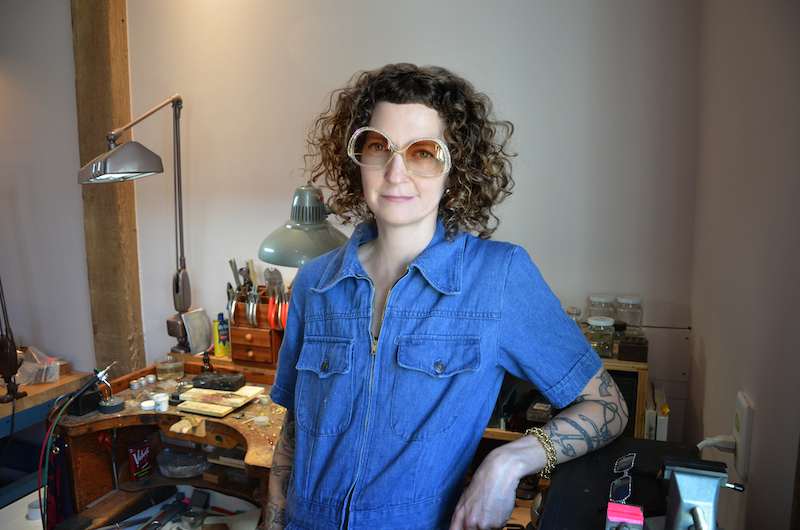 Lola Brooks ’97 (Metal) was selected for inclusion in “Heavy Metal — Women to Watch 2018,” an art exhibition at the National Museum of Women in the Arts in Washington, D.C. The show began June 28 and runs through Sept. 16. “Heavy Metal” is the fifth installment in the museum’s series that showcases contemporary artists. The exhibition is a collaboration between the museum and 20 participating outreach committees who work with curators to compile shortlists of artists working with metal. Brooks is a nationally celebrated jeweler whose work can be found in permanent collections at the Samuel Dorsky Museum of Art, the Metropolitan Museum of Art and the Museum of Art and Design. 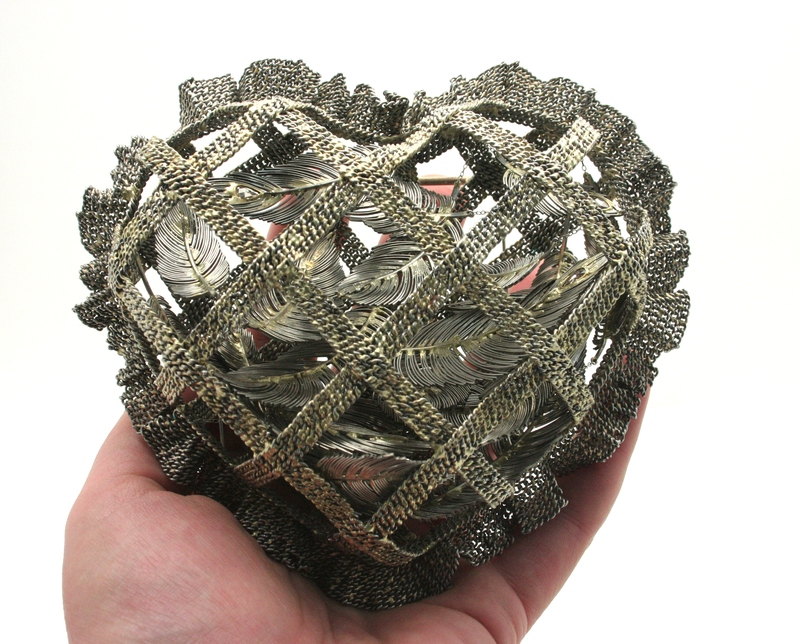 She was chosen alongside other featured artists and her fellow metal alumnae Beverly Penn ’89g and Venetia Dale ’09g, who all examine the physical properties and potential of metalwork through sculpture, jewelry and conceptual designs. Brooks combines materials like stainless steel, gold, and vintage diamonds to create jewelry that blends timelessness with modernism. Her designs have been featured in Vogue and W magazine, and her jewelry has been purchased and worn by celebrities including Jennifer Aniston and Florence Welch. Brooks began her arts education at Pratt Institute and later studied with Emeritus Professor Jamie Bennett and Professor Myra Mimlitsch-Gray at SUNY New Paltz. Brooks is currently a full time studio artist. She previously taught at SUNY New Paltz, Cranbrook Academy of Art, RISD, University of Georgia, and The University of the Arts. 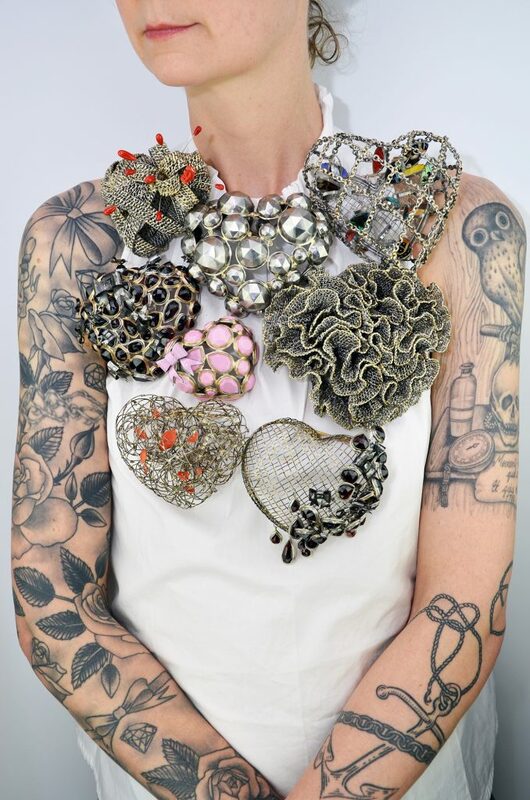 The Recipient of the Sienna Gallery Emerging Artist Award in 2002, Lola’s work has been reviewed and/or included in many publications, including four of the Lark Books jewelry series; American Craft, Metalsmith, Out, W. She has been featured in both Vogue and BlackBook magazines.